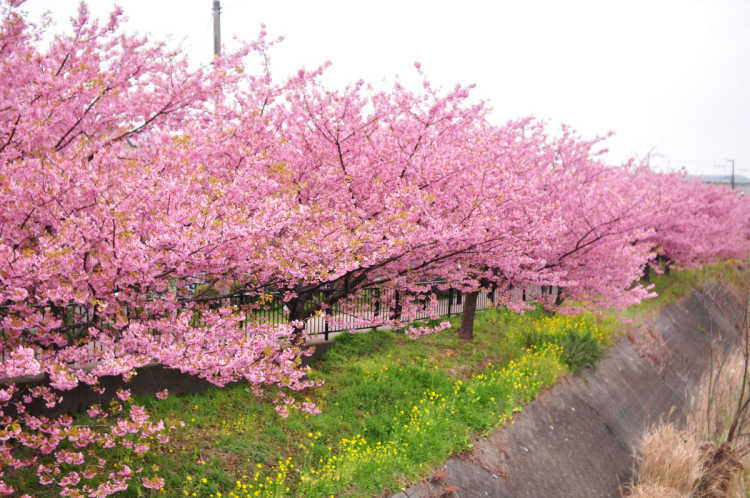 Kawazu Zakura Festival is annually held from February to March. 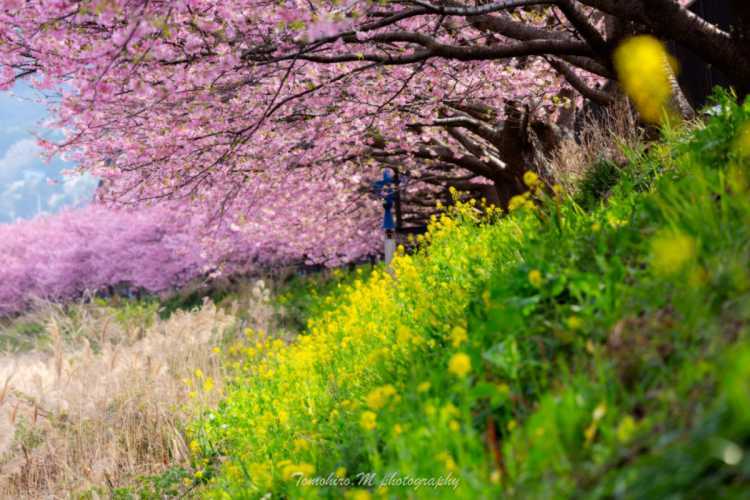 Kawazu cherry blossom and canola flowers blooming at the riverside. I like this lovely colors of pink and yellow. 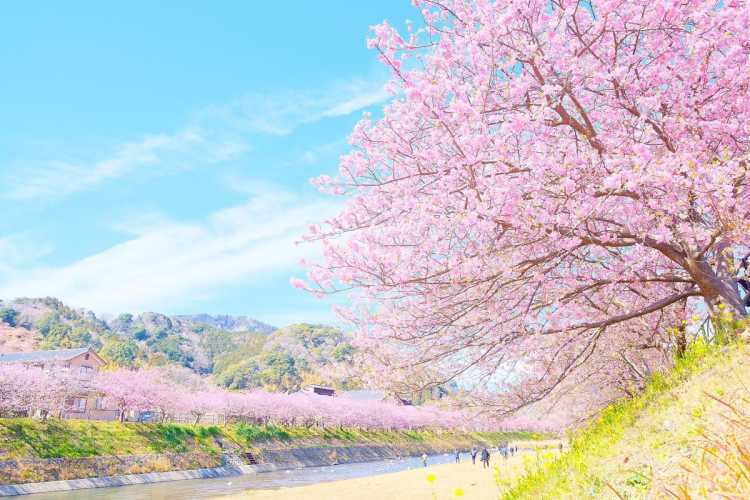 The earliest cherry blossoms in Japan, is Kawazu Zakura. 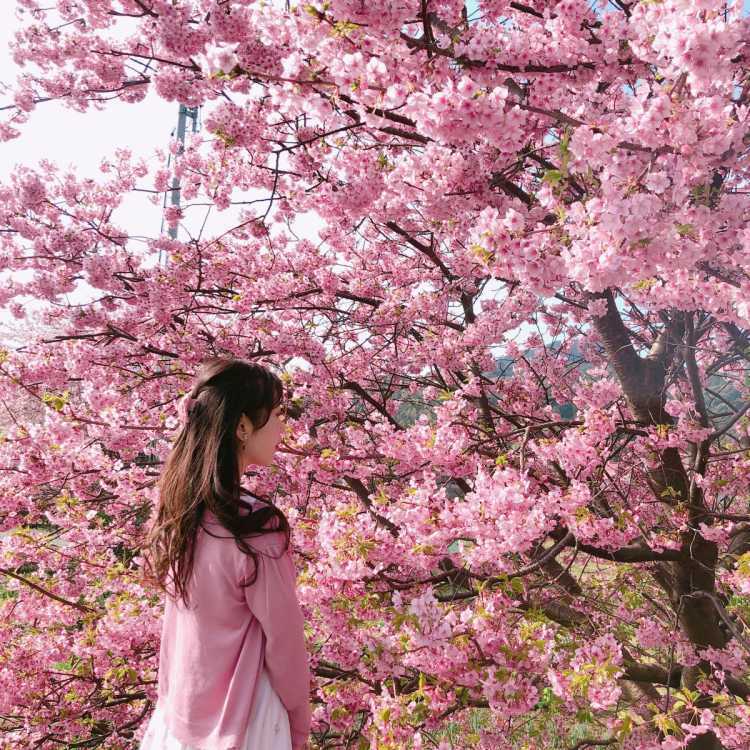 It started from one original tree in Kawazu of Shizuoka Prefecture, has deeper color of pink than other cherry blossoms. Anyway, it's very lovely, isn't it? This early cherry blossom is in bloom for a month between early February and March. 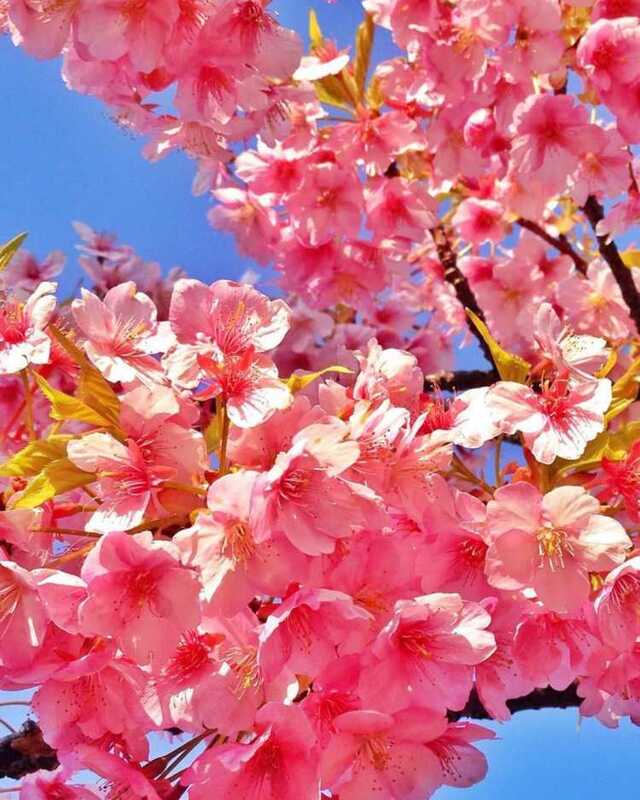 It's famous for the big flower and thick pink color. At night, illuminated cherry blossom 'yozakura' is also nice.